Happy Monday sweet friends! I hope you each had a beautiful and pleasant weekend. Can you believe it is the first day of April, is time moving faster or am I just getting older?! 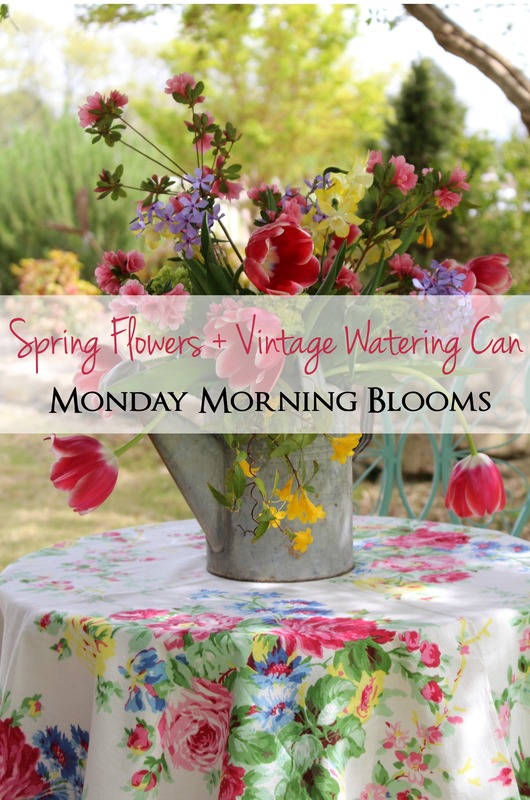 It is also the first Monday of the month which means it is Monday Morning Blooms with my friends Shirley, Lidy, and Mary. 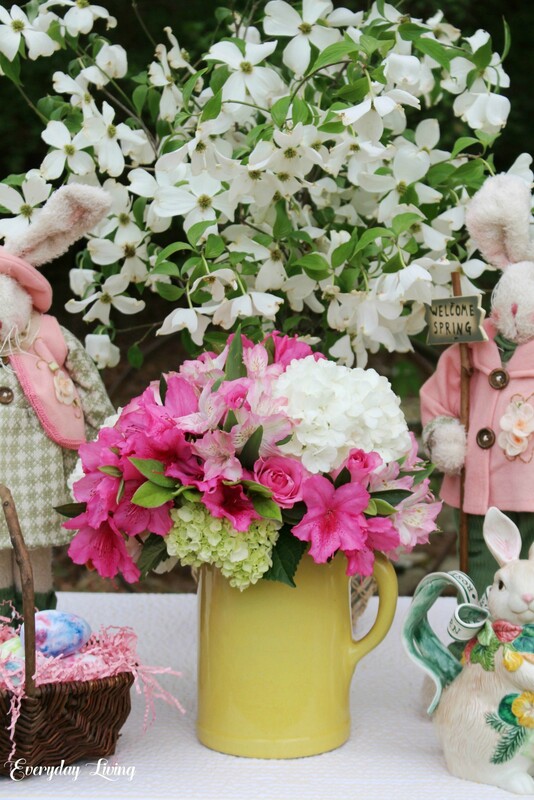 Grab a cup of coffee or tea and pull up a chair for some lovely spring flower therapy! Spring is bursting out all over! My Lady Banks roses are not quite at their peak, but still beautiful and I just had to show them to you. As I write this, the weather man is predicting a freeze warning for this morning. If that happens, it will be bad news for the roses and my snowballs blooms! Hello sweet friends! I am so excited that Spring will be arriving on Wednesday, I know everyone is ready. 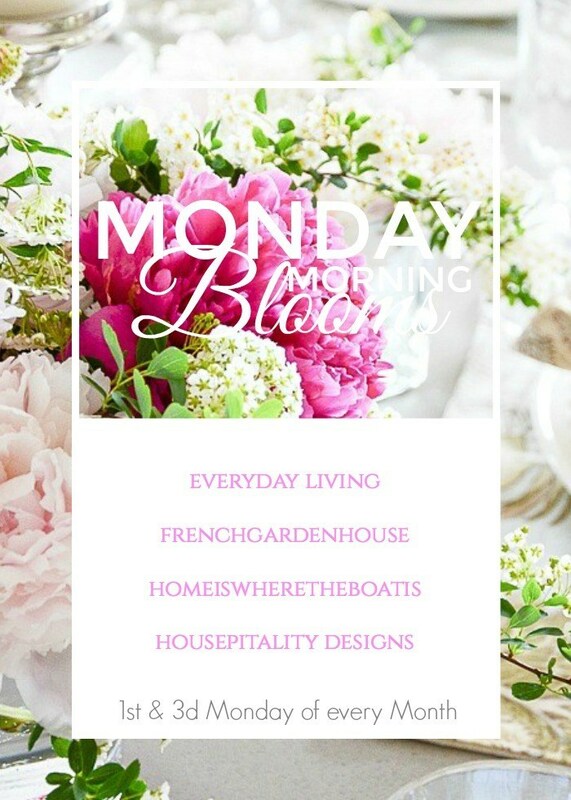 It is the third Monday of the month which always means it is Monday Morning Blooms with my blogging friends. 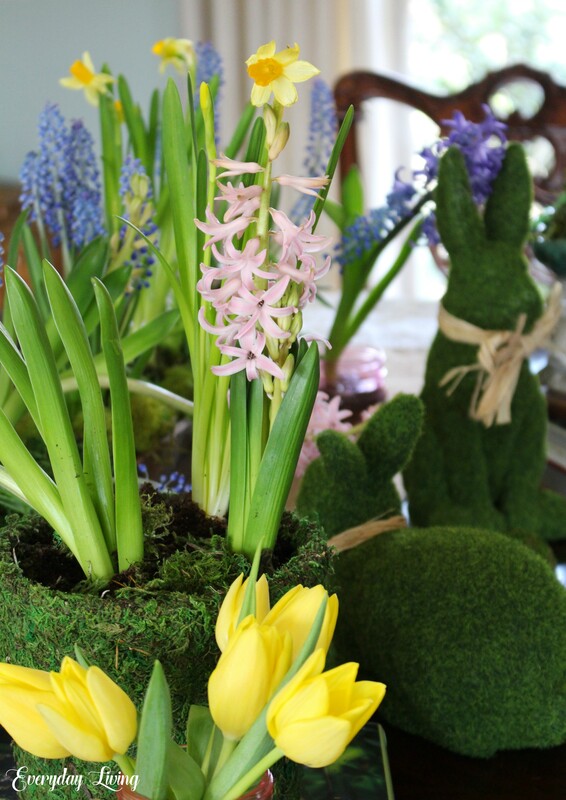 With all things spring on my mind, I have created a little garden of spring bulbs…no need for a sweater because we are indoors! 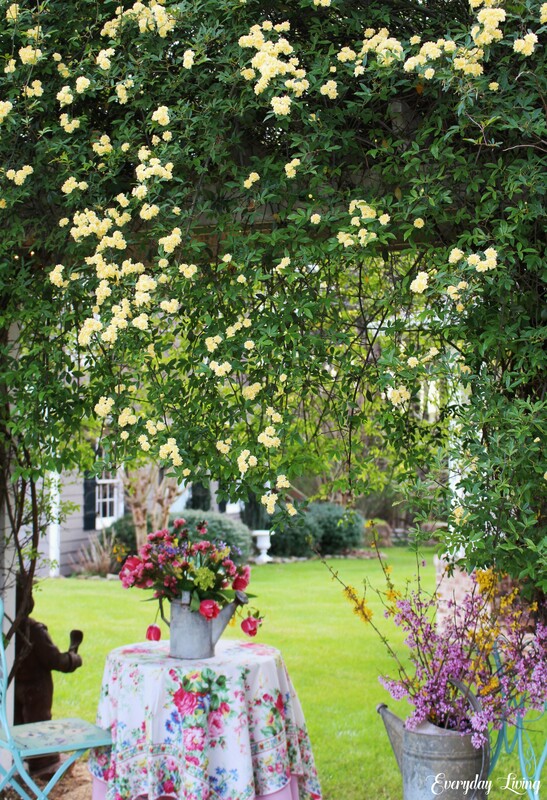 Springtime in the South is usually a mixed bag of weather!